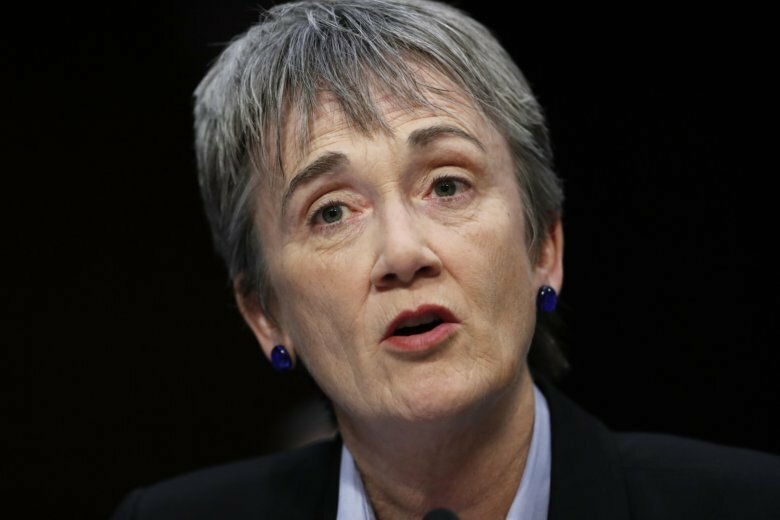 AUSTIN, Texas (AP) — El Paso-area lawmakers are urging U.S. Air Force Secretary Heather Wilson to reach out to concerned students ahead of the final vote on her nomination as the next president at the University of Texas at El Paso. “The format will allow Secretary Wilson to meet face-to-face with all groups, and she intends to meet with as many as she can, both on the UTEP campus and the broader El Paso community,” Adler said. “I’m hoping that she goes and faces the community and the community’s concerns, especially the LGBTQ community’s concern about her voting record and views toward the LGBTQ community,” Rodriguez said. During a press conference at UTEP last week, Wilson said her “general approach with respect to LGBT issues is to treat everyone with dignity and respect.” She also praised the school for being a binational and bicultural university. Michael Gutierrez, a 21-year-old freshman in the school’s Queer Student Alliance, said he doesn’t believe Wilson represents the school or its values. Gutierrez said neither his group nor Wilson have made an effort to meet with each other. “We had a protest this past Monday when she visited the campus, she had time to go up to us and chose to go through the backways of our school and avoid us,” Gutierrez said. Democratic state Rep. Mary Gonzalez, who chairs the House’s LGBTQ Caucus, said the concerns demonstrate the need for a re-examination of the selection process. Gonzalez said her caucus will be meeting with Chancellor James B. Milliken on Wednesday to further discuss Wilson’s nomination. Wilson has headed the Air Force since May 2017, making her President Donald Trump’s first Senate-confirmed service secretary.